One of the aspects that renders our job more difficult is the position of, and the type of leads available, through which to receive and secure our very expensive line. Sometimes the only lead available is a roller type( figure 2.5 ) that tends to chafe or cut the line. At other times the lead is good, but because it is mounted with a lip the reduced numbers of crew from the ship find it very difficult to heave a line that gets caught on the lip. The ideal lead is mounted flush with the side of the ship. Sometimes the lead is good but the position is not useable due to the configuration of the vessel. At other times there are leads but no bollard for securing the line. 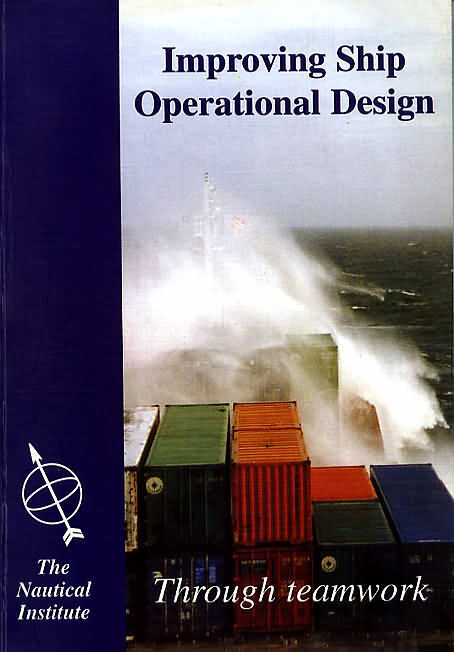 We feel that the type of leads and their locations on ships could be considered more at the design stage, in consultation with towage masters and operators, to improve their utilisation during towage operations. Another area, which presents difficulties, is the type of anchor stowage as shown in figure 2.6. More than once we have had a near miss situation; while the crew in their efforts to clear a line drop the same in the water with a real danger of fouling the tug propellers. This is a regular problem with this type of anchor stowage. This also adds time to complete the mooring operation. It also appears that for the layout of the bridge in general and for the tug in particular not much thought is given to ergonomics and visibility. I think we have a lot to learn from the aviation industry in this sector. Cleanliness and safety: some of the new designs for bridges arrange all the controls and consoles against the windows. This can create a problem of reflection at night and also makes cleaning the windows a very difficult task from inside.